Group of woman is working in red chilli farm. 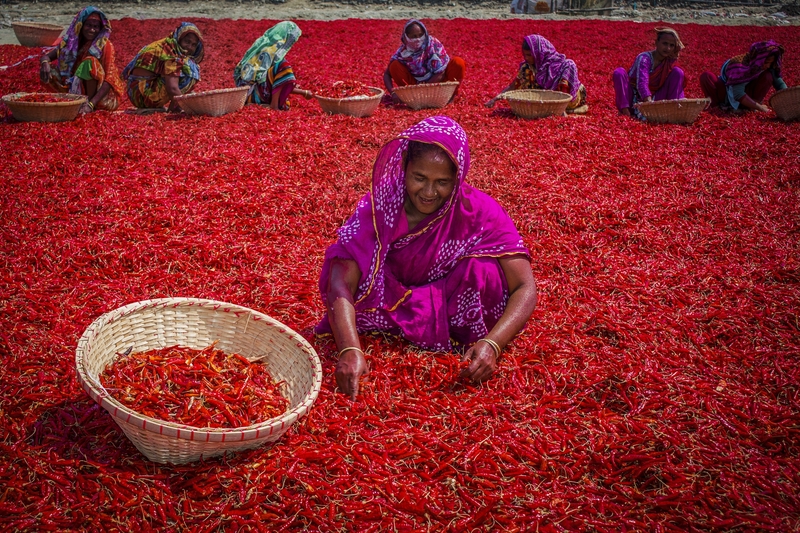 In tradition these women are sorting the dirt from chilies. There is more than 2000 chili worker works in 100+ firms in Bogra. But as like Bogra now many other district in Bangladesh is processing red chilies. Working in a chili firm is too difficult for woman's but as they need to feed their family they work here. The chili burns their hands, eyes and sometimes cause more than any diseases. They get only tk. 100 for a full day.